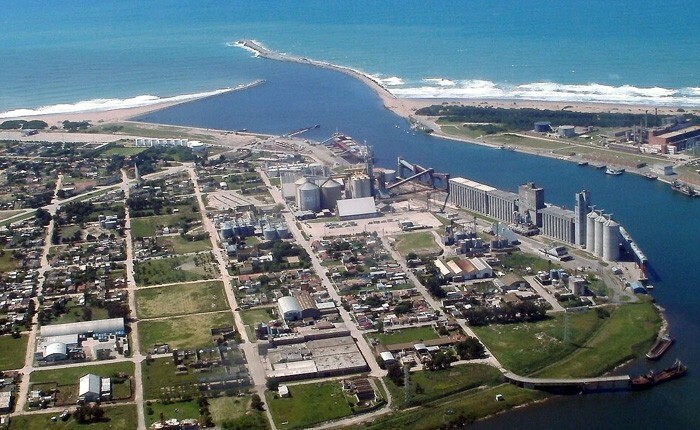 The cities of Quequén and Necochea constitute an urban conglomerate of 75.000 inhabitants divided by the Quequén Grande river. Necochea is an important tourist resort, and during the season the population is greatly increased. There is an intense commercial activity as the city is in the middle of one of the richest farming areas in the country. There are also important agro-industrial plants (vegetable oil and seeds by-products) and fish processing plants. Also, there is a medium-sized agriculture equipment industry. The area has good road access and is connected by highways Nº55, 86, 88 and 228. The city is served by the Ferrosur Roca railway and there is a small airport for medium sized airplanes working domestic routes.